Integrated Computer Services, Inc. currently holds three Microsoft Silver Competencies: Hosting, Datacenter, and Midmarket Solution Provider, demonstrating a "best-in-class" ability and commitment to meet small and medium business. customers' evolving needs in today's dynamic business environment and distinguishing ICS within the top 5 percent of Microsoft's partner ecosystem. Integrated Computer Services, Inc. has recently met the training and technical requirements to offer support for RingCentral?s Voice over IP (VoIP) phone systems. The RingCentral Communications Professional (RCCP) program was designed to recognize partners that offer a high level of support for small business phone systems. RingCentral offers a suite of services including Voice, Fax, SMS and Conferencing solutions. To ensure a reliable and top-performing communications system, many technical settings and network configuration steps must be implemented. 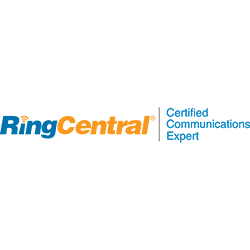 RingCentral?s RCCP Certification program allows customers to know that their system is being implemented and supported by a trained professional. 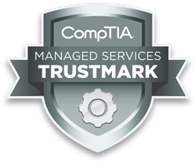 The CompTIA MSP Partners Trustmark identifies managed IT service providers who have demonstrated a commitment to providing managed IT services in a competent and ethical manner and illustrates the quality of services each of these companies delivers. It is a commitment to excellence on behalf of their clients. Companies that showcase the CompTIA MSP Partners Trustmark logo pledge to follow a robust code of practices that meet or exceed the industry standard level of service their customers will receive. The Small Business Specialist certification shows that we have proven to possess the technical and consulting ability required to deliver high-value, strategic solutions for small businesses. The Small Business Specialist status also provides Integrated Computer Services with early line of sight to new products, services and programs from Microsoft, which can extend the value we bring to our clients. MSPmentor Small Business 100 and 501 is the ultimate guide to managed services. MSPmentor features the industry's top-ranked blog, research, Channel Expert Hour Webcasts and FastChat videos. Integrated Computer Services, Inc.has been recognized as a top 501 Global Edition managed service provider, as well as number 11 globally and number 2 in New Jersey in the top 100 Small Business managed service providers. The MSPmentor 501 report recognizes top managed service providers based on a range of metrics, including annual managed services revenue growth, revenue per employee, managed services offered and customer devices managed.